Hey Folks, Welcome to The Dolphin Shout "Draft Crap Shoot". So via a recent article by Patrick "NFL Draft is a crap shoot for the Miami Dolphins", along with his "Draft Dart Board" plans for the Tarell Families annual Dolphin Draft Fun-Fest! I became inspired to devise a Draft Game for The Shout where we and Patrick can all post our own Pre-Draft party "Mock" results. Family and Friends Fun for One and/or All ! (Accessories Not Included),PC Illiterate! Got Dice? Snake-Eyes equates to number one or two! 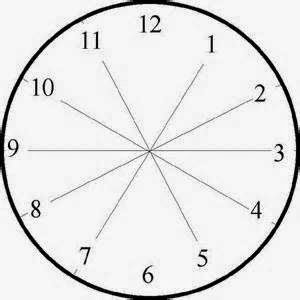 (Tie-Breaker), Spin a pencil on an imaginary clock face. 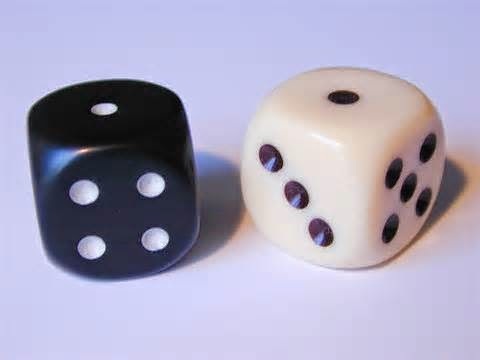 Whichever number of (1 or 2) that the point of the pencil spins closest to becomes the "logged guess" for that particular game player. 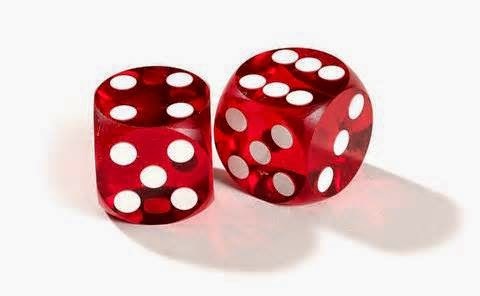 All other rolls of the dice correspond to their total. Ever heard of Spin The Bottle? Just takes twelve pieces of tape to a bare floor. A round Whiskey, Wine, Beer, Soda Bottle or Pencil will do the trick in more ways than one, and should be available on these days of partying. Feeling energetic? Copy and Print the dial and have a creative one install a spinning center piece, or have the Wife/Husband dig-out the relic game of "TWISTER". 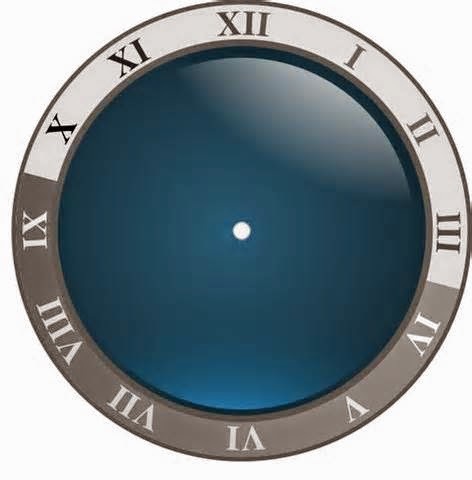 The clock is offered as an easily visualized guide and/or Copy/Print option for spinning wheel installment at home. Otherwise, a pair of Dice will suffice! For this Dolphins Draft Game. I've taken the liberty of offering my previous articles ,and contributing suggestive comments of the potentially attainable thirty-six favorites at picks 19 thru 81 . This first particular time piece includes potential players that the Dolphins could move slightly up for, simply pick at 19, and/or players that can be attained in a first round trade down scenario. If a trade down scenario materializes? 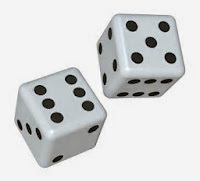 Roll the dice for every extra accrued Dolphin pick while using the appropriate listing that relates to that potentially acquired draft selections spot. This next frame in time includes players that can likely be attained in trading down from 19 into the first rounds mid-twenties, and/or down to somewhere between Miami's current second round selection at number fifty, (Thursday and/or Friday). At this moment of the game (Friday). We go beyond pick fifty in rolling the dice for The Miami Dolphins currently owned Third Round selection at number Eighty One. In accordance to what the Dolphins may or may not have already taken?! The roller of dice, or spinner of bottle, or dial in this particular time machine gets his choice of picks! Be it the prospect at the actual number that one rolls, or the "indicated" number/player located at the exact opposite spectrum of said number rolled. "Crap Shooters" choice! Roll Snake-Eyes here and you get your choice of number one, two, seven, or eight, (depending on what Miami has already selected), and according to your personal preferences! The only round (while using dice) that a "Tie-Breaking spin of the pencil" isn't required in the instance of rolling Snake-Eyes! Keep in mind that this games inventor prefers to get high value at every pick! Therefore, some of these guys would be absolute steals at suggested turns. With that risk, there are also pitfalls. The corresponding prospect of the number that one rolls may no longer be available? In such an instance, though you are already allotted the alternative pick in round three! Your personal game organizer can decide upon whether you lose the choice outright, or are deserving of one additional turn with the first, second, third pick, and other potentially accrued selections. Potentially available suggestions for The Miami Dolphins first three to four picks include ( 9 OL, 9 WR, 5 TE, 4 RB, 7 DB, and 3 LB ). While Miami is not in dire need of such a position, the FOUR running backs listed for pick number 81 would all be absolute steals at that point, though a couple more options at MLB would have been nice! However. Proven Collegiate Inside Line Backers simply do not exist in 2014's first three rounds! C.J. Mosley at NINETEEN, Chris Borland at Eighty-One? ANYONE? An OLB that can be ingeniously moved to MLB? ANYONE? ANYWAY. Just Hoping that ALL are excited about Thursdays 8PM First Round Kickoff, and that this game offers you some additional enjoyment leading up to and/or on Draft Day! PLEASE, Take Three "Mock Practice Rolls, or Spins" for us. One for each of the three present listings, and let us know your results while offering your suggestions, as well as your preferred, viably attainable, first three Dolphin selections. Paul will be offering a live draft chat on Thursday, so be sure to check in for that.